Water. Give us two minutes and we’ll give you two dozen different ways to direct, divert, infiltrate or irrigate. Our stormwater management solutions include innovative uses of drainage and ponding design, underground storm treatment systems, infiltration systems and rain gardens. We study the site to inform which combination of these and other new stormwater management methods are best suited to develop remarkable project sites for our clients. Our innovative stormwater management solutions at St. Jude Medical capture rainwater in order to meet irrigation needs for the entire campus and fulfill Ramsey Washington Metro Watershed District requirements. At Cargill’s corporate headquarters in Minnetonka, we tackle erosion and stormwater drainage issues head-on with SAFL Baffle stormwater treatment and a new retaining wall, which provides an important buffer for an adjacent DNR protected wetland. We often employ rain gardens to improve water quality by infiltrating the “first flush” of stormwater runoff into native un-compacted soils, or drain tile in heavier soils, which results in less runoff, an efficient re-supply of ground water aquifers, and ultimately cleaner water. Our work at Beacon Bluff required restorative engineering designs to accomplish the owner’s requirement for “green” remediation of environmental contaminants. 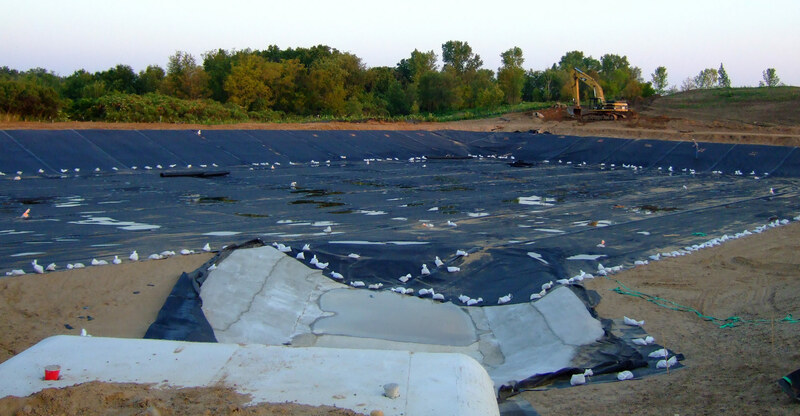 A “Next Generation” stormwater management system treats previously untreated stormwater from 163 acres and includes provisions for monitoring ground water recharge and water quality impacts. The system contains over 650 lineal feet of 10’ diameter perforated CMP, granular bedding, geotextile fabric and shredded tire chips. It is one of the largest underground infiltration systems in Minnesota, with 21 separate monitoring locations for acquiring water quality and quantity metrics at various levels beneath the system.